Transparent electronics (pioneered at Oregon State University) may find one of their newest applications as a next-generation replacement for some uses of non-volatile flash memory, a multi-billion dollar technology nearing its limit of small size and information storage capacity. Researchers at OSU have confirmed that zinc tin oxide, an inexpensive and environmentally benign compound, could provide a new, transparent technology where computer memory is based on resistance, instead of an electron charge. This resistive random access memory, or RRAM, is referred to by some researchers as a “memristor.” Products using this approach could become even smaller, faster and cheaper than the silicon transistors that have revolutionized modern electronics — and transparent as well. Transparent electronics offer potential for innovative products that don’t yet exist, like information displayed on an automobile windshield, or surfing the web on the glass top of a coffee table. Memristors have a simple structure, are able to program and erase information rapidly, and consume little power. They accomplish a function similar to transistor-based flash memory, but with a different approach. Whereas traditional flash memory stores information with an electrical charge, RRAM accomplishes this with electrical resistance. Like flash, it can store information as long as it’s needed. 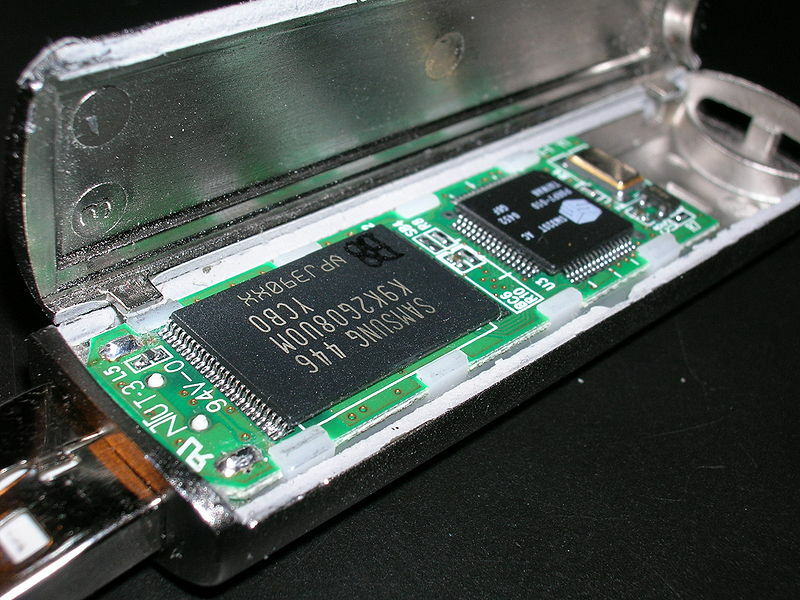 Flash memory computer chips are ubiquitous in almost all modern electronic products, ranging from cell phones and computers to video games and flat panel televisions. Some of the best opportunities for these new amorphous oxide semiconductors are not so much for memory chips, but with thin-film, flat panel displays, researchers say. Private industry has already shown considerable interest in using them for the thin-film transistors that control liquid crystal displays, and one compound approaching commercialization is indium gallium zinc oxide. But indium and gallium are getting increasingly expensive, and zinc tin oxide — also a transparent compound — appears to offer good performance with lower cost materials. The new research also shows that zinc tin oxide can be used not only for thin-film transistors, but also for memristive memory, Conley said, an important factor in its commercial application. More work is needed to understand the basic physics and electrical properties of the new compounds, researchers said. This research was supported by the U.S. Office of Naval Research, the National Science Foundation and the Oregon Nanoscience and Microtechnologies Institute.